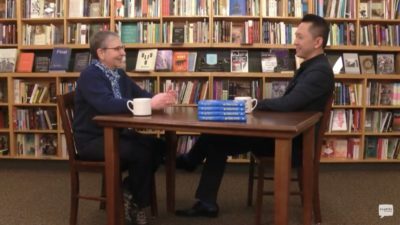 The following interview with Viet Thanh Nguyen was conducted by Nancy Pearl for her show “Book Lust” and can be seen on Seattle Channel. Nancy Pearl: Hello and welcome to Book Lust. I’m Nancy Pearl. 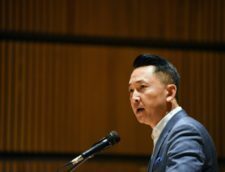 My guest today at University Bookstore is Pulitzer Prize winner Viet Thanh Nguyen. Thank you so much for taking time to come by and talk to us today. Viet Nguyen: My pleasure Nancy. Nancy Pearl: So I’ve been a longtime fan. If you could say longtime because The Sympathizer came out in 2015 and then very quickly you did a nonfiction book about the Vietnam War and memory. 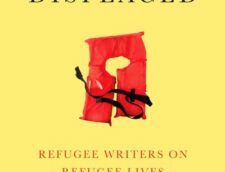 And then just this year your collection of short stories, The Refugees is out. So it all seems like it’s you know so quickly, it’s done so quickly but you’ve had years of writing and working on this right? Viet Nguyen: Yes. I’m never going to see this much productivity ever again. Three books, three years. But really I was working on them for like 20 years. And it just happened to be that I’m a slow writer and I was working on the nonfiction and the fiction all at the same time. And the books developed in parallel with each other and they inform each other. Nancy Pearl: They do, they do and I remember reading The Sympathizer and I just was blown away I have to say. I was an early fan and I’m very proud of myself for that and proud of you for writing that book. Viet Nguyen: I remember all my early fans as well. Nancy Pearl: Yes right. So The Sympathizer begins with the fall of Saigon and then continues, brings the main character into the United States, onto the west coast and then involves him in various activities. And it has always seemed to me that the best way to describe it is it’s a novel about learning to live with who you are. Is that fair? Viet Nguyen: I think it is fair. I mean obviously it’s a novel that’s also a spy novel. But in the context of a spy novel, a thriller, making the reader come along with the plot I also wanted it to be about a particular individual who is struggling with ideology, identity, culture, belonging, all these things are very specific to him in the historical moment that he’s in. But also I think there’s a universal quality to that. Many of us have struggled with these questions of what is right, what is wrong, where do I belong, what should I do and that’s what he’s confronted with. Nancy Pearl: And living with the shards. And I use shards deliberately I think because the past is so sharp and so painful to him in a way even as the present is equally painful. Viet Nguyen: Yeah I mean he is struggling with the legacy of what it means to be someone of mixed race. He’s half French, half Vietnamese and in Vietnam that population of mixed race people is looked down on and it was a feature of his childhood. And it’s part of the precondition for how he turns into a revolutionary because feeling like he never belonged anywhere led him to look for answers as to why this has happened to me. And so it’s again, a very particular situation for him but it’s also something that then becomes magnified through politics into a meditation on belonging in a political sense and a quest for justice both for himself and for everyone like him who feel as if they have lost their identities or are living in some kind of unjust situation. Nancy Pearl: When you were thinking about that book, when you were thinking about writing it and you work full time teaching we should say that and you have a family. All those things but when you were thinking about that book what were early thoughts that came to you about the character or the plot? Did the character decide the plot? I mean did you follow the character through the plot or was the plot there for the character? Viet Nguyen: Well one thing about this novel that I wrote was that I did it in two years because I wasn’t teaching, I had time off. Viet Nguyen: So it was really a wonderful experience to write it because I had this continuity and the isolation and no one knew who I was and no one cared about the book. But I came up with the idea of a spy novel immediately when my agent said you gotta write a novel and then the next step was who’s the protagonist. And I really wanted someone who is of mixed race background because I knew that if I picked someone like that all the issues that he would confront around being divided between races and countries would be organic and would allow me to look at this theme, this idea from Kipling that “East is east and west is west and never the twain shall meet.” So it was really just a matter of bringing that character into a spy novel and figuring out what the plot was going to be. And I had a lot of history to draw on in terms of the plot. I didn’t really have make up very much and in the back of my mind there had always been this story about Vietnamese refugees who were military men who when they came to United States wanted to take their country back and had a whole plot about how to figure this out. And so it was simply a matter of making my character into a spy and putting him into that mechanism and then seeing what would happen. Nancy Pearl: Do you read spy novels? I mean is that a favorite of yours? Viet Nguyen: I do. I’ve read Licari for example. Graham Greene. These were not just influences but authors I really enjoyed reading because they brought together the concerns of the plot and the concerns of history and politics and that’s very much what I wanted to do as well. Nancy Pearl: There’s a novel that I wanted to ask you if you were familiar with by Ward Just. I’m assuming you are. Nancy Pearl: OK, so he wrote a novel called The Dangerous Friend and he was a newspaper man, he was a reporter in Vietnam. But this is about Vietnam before the American troops come in. And the title of The Dangerous Friend is, it’s a wonderful book for a book discussion or just for thinking about because who is the dangerous friend. And you know there are Americans there and there are French characters and all of their conflicting and yet similar ideas about the country come to the fore. I think you would really like that book, I highly recommend it. Viet Nguyen: You’re much better read than I am but you know the way that you describe it makes me think that this is the same terrain that Licari and Greene also work on because in the world of spies and intrigue and so on it’s very hard to tell who’s a friend and who’s an enemy. And that idea of a dangerous friend nails that concept. Nancy Pearl: Yes. And this is set in the decade after Graham Greene’s Vietnam novel. Viet Nguyen: I’m imagining it has to be in conversation with The Quiet American. Nancy Pearl: Yes totally and yet strikes out on its own. It’s very very, it’s just a wonderful, just a terrific novel. So while you were working on The Sympathizer you were simultaneously doing the nonfiction book about memory and war and the issues of the way we shape our memories to meet our needs. Viet Nguyen: What happened was that I’d written the short stories first, most of them and I’d also been doing research for Nothing Ever Dies and writing a lot of economic articles and then it came time to write the novel. And so both of those projects really fed into the novel because I learned how to write fiction through writing the short stories. And then when it came time to write the novel I realized the novel is actually the medium I am much more comfortable in. And I was able to take also those themes of memory and forgetting and justice that I’d been working on for the nonfiction book and trying to figure out how to enact them dramatically in the novel. Nancy Pearl: So there’s a wonderful satirical set of scenes where he becomes an adviser to a director of a film. Could you talk about where that all came from and the feelings that went into that? Viet Nguyen: Well a lot of people think that that is a satire of Apocalypse Now. And of course if you read the acknowledgments it’s hard not to think that because I’ve read everything that was written about Apocalypse Now and Francis Ford Coppola but it really is a satire of the entire genre of the Hollywood Vietnam war movie because when I was growing up I watched a lot of these movies which is an exercise I don’t recommend. But Apocalypse Now really came to symbolize that because it was a movie that really hurt me the most when I watched it because I as an American boy grew up watching American war movies, John Wayne and the like, rooting for Americans and I did so for Apocalypse Now as well until the moment when the American soldiers killed Vietnamese people. And then I realized I didn’t know where I was in this movie. Was I the person killing or was I the person being killed and it really split me in two. And so that became symbolic of my feeling that I did both belong and didn’t belong in American society. And when it came time to write the novel I felt that I wanted to write a novel that was not realistic. I was drawing inspiration from novels that really were very ambitious and trying to pack a lot of themes and incidents in there and I thought I’m going to have to put this in, this satire of the making of an American war movie. And this is my opportunity to get revenge on the entire genre and on Hollywood. Viet Nguyen: I’m glad you think so. Nancy Pearl: Yeah. I can’t imagine anybody not thinking that. But you know it does comment on it. It’s a comment on the whole situation and on your life. Viet Nguyen: Yeah and it does obviously. But I also want to say that it’s also I felt like structurally important to the novel because part of the point that the novel’s exploring obviously is that history repeats itself, first time as tragedy, second time as farce. But in the novel I reversed it, the farce farce happens first with the making of the Hollywood war movie and then the tragedy happens second when we realize all the events in the second half of the novel are foreshadowed in this ludicrous movie that’s being filmed in the Philippines. Nancy Pearl: Right. The end of The Sympathizer it’s not easy to read. It’s very emotionally gripping. It’s not manipulative, it’s just there and you have to deal with it and you can’t stop reading because the prose and the character carries you along. Was that a difficult and especially difficult part to write the ending? Viet Nguyen: Yes and it was a surprise as well because when I plotted the novel in advance I had an ending that wasn’t that ending. I had to have something to shoot for in a sense and I knew it was going to end up in a re-education camp but I thought the end was going to be a big shoot out like a Hollywood kind of ending. And I knew that wasn’t probably going to happen but I didn’t know what the end was and about two thirds of the way through writing the novel I realized what the end was going to be and the end had to be an internal ending because the novel is very much about this conflict within our protagonist right. And so that was why the resolution had to take place within himself as well. And it is a moment of extended interrogation where finally we drill into him and he understands that he has a secret that he hasn’t been able to reveal to anybody including himself. And it has to be brought out of him. And I didn’t know that secret either actually. And I did not know what it was that he was hiding within himself until I interrogated him and I interrogated me. And it was probably the most difficult sequence to write in the book. I had nightmares writing it. Nancy Pearl: Oh you did. Viet Nguyen: I did, I did. But I have to say that at the same time it was also a lot of fun. It was a big challenge to write that. So as a writer I’m also thinking how do I pull this one off. And I really got into it. Nancy Pearl: Not to bring in something … well to bring in something personal is I just finished doing the final revisions of my novel that’s coming out this September. Viet Nguyen: Yeah. Because what I’m trying to do at the level in that scene is to recreate what it might feel like to be interrogated and yet not make the reader sit there for literally 100 days or whatever is happening. And so I had to recreate that emotionally but then recreate that at the level of the rhythm of the prose as well and that was the exhilarating part. It’s like how do I do this at the level of the sentence to carry the reader along. Something terrible is happening but if you simply just tell the reader what these terrible things are the reader is not going to want to read obviously, it’s just too brutal. Nancy Pearl: Yeah their eyes are gonna glaze. Yeah totally. Viet Nguyen: And so that was the paradox. How do you take something terrible and make it something fascinating? That’s the aesthetic challenge that I really loved trying to grapple with. Nancy Pearl: Yeah. In The Refugees which is your brand new collection of short stories they have a different tone. And you were writing those all along. Viet Nguyen: Well I was writing them before I got to The Sympathizer. 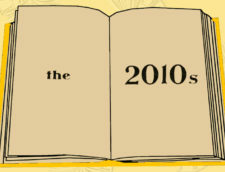 I wrote them from 1997 to 2011. Then I spent two years working on The Sympathizer. In 2014 I came back and I finished the last and most difficult story in The Refugees which is the first story. And so they are different in tone because my concerns were different in The Refugees. Nancy Pearl: Oh talk about that. Viet Nguyen: I was just trying to figure out how to write. I didn’t go to MFA school. I had some teachers but I didn’t really have a lot. And I mostly had to teach myself and it was through the craft of the short story. And I was really beholden to a particular idea of the short story, The Realist short story, The New Yorker short story for better and for worse I think. And so these stories are much more intimate, they’re much more quiet, they’re much more emotional. Some readers like them better because they’re very very different than The Sympathizer. They’re still me but they were trying to accomplish a very different goal than what I set out to do with The Sympathizer. Nancy Pearl: So the opening story is called Black Eyed Women which has to do with ghosts. Viet Nguyen: Well the opening story Black Eyed Women is a story that almost broke me as a writer. It took me 50 drafts over 17 years to write this story and the challenge of that story but all the stories was what not to include. It took me 50 drafts to figure out what not to put into that story. It’s a story about a ghost writer who is haunted by her past and the past is that she was a so-called book person who fled Vietnam and survived but her brother didn’t. And one night 25 years after that incident he comes knocking on her door as a ghost. So it is about both ghost writing and confronting ghosts. Nancy Pearl: Was that belief in ghosts because her mother believes very deeply in the reality of ghosts and has brought that with her to America from Vietnam? Was that part of your life? Viet Nguyen: Well actually I really don’t like ghost stories. I’m easily frightened. I don’t like reading them. I don’t like writing them. But I wanted to write a different kind of ghost story and what you’re talking about is that Vietnamese people do believe in ghosts, sometimes they’re terrifying but oftentimes they’re benevolent, they’re ghosts that have come to say goodbye right. And that never happened to me fortunately, I would’ve freaked out. But I knew that people really believe this took place and so I wanted to write a story that was about that. But obviously the figure of the ghost is really useful for anyone who’s writing about trauma in history because the ghost comes to symbolize the return of the past and the haunting of the living. And I think that whether or not we believe in ghosts many people are haunted by the past and in that figurative sense ghosts exist. Nancy Pearl: And it’s just a marvelous story and well worth those 50 drafts that you did it over 17 years. First the smartness of having her be a ghost writer and then have the ghost of her brother. But there’s physical evidence that the brother does come back. I loved that. And I don’t like ghost stories and I’m just like you easily scared and don’t read horror or anything. But I thought that that was just enough of a situation to make the reader sit back and say wow you know what’s really going on. Viet Nguyen: Right. The line between the surreal and the real has been breached because we don’t know for sure whether that ghost really existed but he’s left material artifacts that continue after his disappearance. And really the challenge, one of the challenges in writing this story was the question of tone. This is a ghost story but it’s not supposed to really be like an Edgar Allen Poe kind of story for example or horror magazine stories. So what is the right tone, it was really really difficult to try to hit that note where it was both about ghosts but it also could still be construed as a realist kind of short story as well. Nancy Pearl: Are your books, they’ve been translated into Vietnamese? Viet Nguyen: All three books are in the process of being translated and it would be really interesting to see which books actually make it from the publisher through the government to the bookstores because everything has to go through censorship. And so with The Sympathizer obviously the difficulty is I would imagine they would have to censor the entire last quarter of the novel, cut the whole thing off and it would make no sense. So there is a clause in my contract that says if this is censored in any way I get my translation back. Whether or not they will do that, whether or not they will disregard my wishes and publish a censored version I have no idea. But one way or another I’m going to get that full translated version out if I had to do it myself. Nancy Pearl: Oh, that would be interesting. And what about the nonfiction, the book about war and memory? Viet Nguyen: Well you know I’m a scholar and my identity as a scholar is as important to me as my identity as a fiction writer. And I feel like I’ve been on a long lonely struggle in my life to try to prove that you can be both a critic and a creative writer at the same time and that these two things can mutually inform each other. Because I think my work as a critic really makes The Sympathizer a much better novel because it is a novel that raises philosophical, historical, political, theoretical questions, things that I don’t see oftentimes explored in contemporary American fiction because I think a lot of temporary American writers are allergic to bringing in these issues into their writing and I’m not. And conversely as a critic I really felt that academics get a knock for writing books that are obtuse and that no one can read. And I thought I think I can do this. I think I can write a serious book that is accessible enough for people who are laypeople but who are intelligent and who want to meet me halfway to read as well. So my project in both of those books is try to heighten my expectations of readers and hopefully they can come along if I meet them halfway. Nancy Pearl: Yeah. And I think that’s a noble goal. And I think that you’ve succeeded. You know there’s a book by the critic Paul Fussell called The Great War and Modern Memory which in some ways your book reminded me a little bit of, although your book is more scholarly if I can put it that way. How much did you draw on your own memories of, you came to the United States when you were young, quite young. What of you is Vietnamese still? Viet Nguyen: What of me personally is still Vietnamese? Well it’s a really troubling question because when I was growing up I was someone who other Vietnamese people would see as being whitewashed. And so I was always really annoyed by this issue of like what is authentically Vietnamese and who is Vietnamese and all this kind of stuff because I felt like it was really excluding me. And then conversely in the American context I was Vietnamese and people were like well you’re not really American, go back where you came from. So I really resist these questions of what portion of you is really this or really that. And that’s what I deal with in The Sympathizer. I mean I am not the protagonist of the book. But emotionally, intellectually many of the things that I felt growing up I simply exaggerated and put into his life because I wanted to destroy these questions that would seek to put people into one box or another or try to isolate some essence of them. Nancy Pearl: What has been the response of Vietnamese American readers? I’m sure there are plenty of people in Vietnam who’ve read the book, The Sympathizer particularly I’m thinking of in English. What have you heard and how does that make you feel? Viet Nguyen: The people who have actually read it in English I think have been almost uniformly really positive about The Sympathizer and I think that’s partially because if you can read English you’re of a certain kind of a class and you’re relatively open minded and all that. And so they’re not offended by the idea that the protagonist is a communist sympathizer. The people who have only heard about the book and who only read Vietnamese I think may be a little more skeptical but I just want them to read it once it’s translated because obviously if you get to the last quarter you realize it’s not a pro-communist book and the Vietnamese Americans who read it in English oftentimes are really moved by it and they tell me we don’t get to hear these kinds of stories in the United States and we don’t get to hear the stories that our parents have told us in English. And they’ve told me that many of the stories I’m telling are accurate, that there really were people like this, there really were incidents like this and what’s also important is that the book is unique because it confronts Americans in a way that a lot of minority literature doesn’t confront the rest of America because people are worried about offending. And I’m not worried about offending. I want to offend people. I want to criticize people directly. And that’s my identity as a writer is to be polemical. Nancy Pearl: It’s so horribly ironic that your books are so relevant now in this political climate. Viet Nguyen: I think that’s because things haven’t changed as much as we would like to think. You know 40 or 50 years is not a very long period of history and I’m dealing with a war that took place 40 years ago. I’m dealing with a refugee crisis that took place 40 years ago but I take the long view on history as an American. I look back to the 1600s and when we look back to that period then we can see over the span of three or four hundred years that there are two faces of America. One face is the open, inclusive face of the American dream and the other is the America of xenophobia and racism and genocide and slavery and colonialism and that hasn’t gone away. And so we still go to fight wars. That’s why Iraq and Afghanistan seem like a repeat of the Vietnam War. And that’s not a coincidence. We still have refugees today because we’re still doing the same things that created refugees in the first place. Now that’s depressing but as a writer my job is to prepare people to look at that historical reality and to remind them that these issues are not new. Nancy Pearl: You teach. Talk about the class that you teach. Viet Nguyen: Well, one of my staple classes is a class on the Vietnam War. And I teach it to 150 or 200 students, almost none of whom are humanities majors, they’re scientists and they’re athletes and they’re veterans. And I feel that this is part of my political and pedagogical work is to speak to people who are not necessarily interested in what I do but to tell them a story that makes them interested and shows them that what happened 50 years ago is still relevant today, still connected to Iraq, Afghanistan. I refer to this idea that you know what we do in talking about history is to talk about storytelling and storytelling is not just about literature and film, it’s about politics. Make Donald Drumpf Again is a story. I don’t agree with that story but that’s our job is to recognize how stories are being told so we can to contest those stories and tell our own stories and that’s what I want to equip the students with, both an ability to understand that and an empowerment to tell their stories as well. Nancy Pearl: So my last question is what do you read when you’re reading for pleasure? Viet Nguyen: I like to read everything. And the problem is that the things that I find pleasure in they keep me awake at night because I want to finish reading them. So science fiction, detective stories, comic books. I love all those things. I love serious literature as well. I don’t draw the distinction between quote unquote serious literature and so-called genre fiction because I think serious literature is a kind of genre too. Nancy Pearl: Right. Are there particular science fiction writers that you? Viet Nguyen: I’m reading a book, I’m listening to book on audio tape right now which is saving my life. Underground Airlines by Ben Winters which is the premise is what if slavery hasn’t ended and what if fugitive slaves are still crossing into the north. And what if there is a slave catcher that has to catch them. And what if the slave catcher is black. It’s a great book. Nancy Pearl: It is a great book. And he wrote a wonderful trilogy of books before that, his three previous books. The first called The Last Policeman. Viet Nguyen: I’ve heard of it. It’s on my list. Nancy Pearl: It’s just wonderful, a wonderful set up. Yeah. Underground Airlines was great. I thought that was a book that was vastly underrated because of what you said you don’t do but so many people do which is clump genre fiction in this little box and say not worth critiquing or not worth looking at. Viet Nguyen: Just want to put a plug in for audio books because the actor who performs that book is actually really really good. And that’s part of what makes it come alive. Or Joe Morton’s version of Invisible Man. Riveting performance and that’s just another way of accessing books. I’m pro book no matter how we listen to them or read them. Nancy Pearl: Now are your books on audio too? Viet Nguyen: Yes The Sympathizer is read by Francois Cho and he happens to be Vietnamese of a very complicated background. He’s got a deep gravelly voice, he’s great. Nothing Ever Dies, surprise to me is on Audible. And then I read The Refugees. Nancy Pearl: Oh you read The Refugees. Viet Nguyen: I can’t guarantee you how it comes off. I have not dared to listen to it myself but I gave it a shot. Nancy Pearl: Wow. I once taped a children’s book, a picture book, it had like 35 pages and one line on each page. It took practically a whole day to do it and I can’t imagine you’re doing this story. Viet Nguyen: Did you have a director or did you just have to figure it out? Viet Nguyen: Well that helps because I had no help at all. Nancy Pearl: Oh you didn’t. Viet Nguyen: I just had to guess what was going on. Nancy Pearl: Oh wow. Well Viet, thank you so much for coming by. Viet Nguyen: Thanks for having me Nancy. Nancy Pearl: And keep writing. Viet Nguyen: Well keep supporting books. Nancy Pearl: I will if you will.